President Recep Tayyip Erdogan has blasted Turkey's NATO allies over their ongoing support for the Kurdish People's Protection Units (YPG) in Syria. "What kind of NATO alliance is this?" Erdogan asked, speaking during an election campaign rally in southwestern Turkey. "You give terrorists around 23,000 truckloads of weapons and tools through Iraq but when we asked, you won't even sell them to us," he said, according to al-Jazeera. "We have a 911-kilometres border [with Syria]. We're under threat at any moment," Erdogan added. The leader did not specify which NATO allies was referring to. The Turkish government considers the YPG militia to be a terrorist group affiliated with Turkey's Kurdistan Workers' Party (PKK) and its People's Defence Forces (HPG). Both groups are outlawed on Turkish territory, and Ankara launched a military campaign along its border with Syria to try to prevent the groups from operating in the area or coordinating. The US coalition against Daesh (ISIS)* is a major ally of the YPG in Syria, and has provided the group with weaponry, training and military support. However, last December, President Donald Trump announced that the US would be withdrawing its estimated 2,000 troops stationed in Syria and bringing them home. The YPG criticised the decision and urged US forces to stay. The Syrian government slammed both US and Turkish meddling in the country's internal affairs. 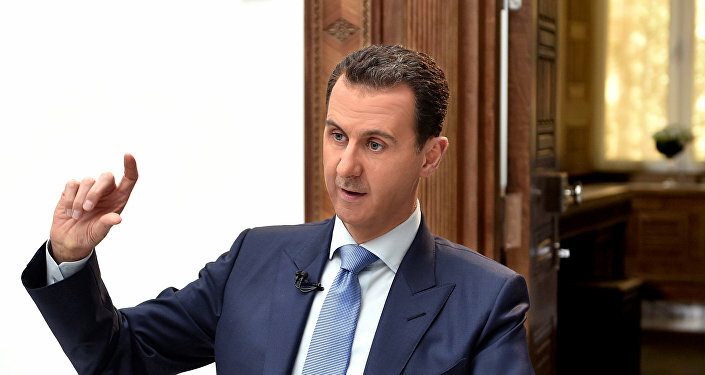 On Sunday, Syrian President Bashar Assad urged groups "betting on the Americans" to realise that "no one will defend you but the Syrian Army." Earlier this month, Turkey's Anadolu news agency reported that dozens of armoured vehicles and trucks with mobile generators and other equipment were spotted being delivered to Kurdish-controlled areas in northeast Syria via Iraq under the cover of night. Turkish-US relations remain strained over multiple issues, including the sale of Russian S-400 air defence systems to Turkey, the US sheltering of a Turkish preacher whom Turkish authorities blame for the July 2016 coup attempt, and US threats to renege on the delivery of F-35 stealth fighter jets to Turkey if it moves forward with the purchase of the S-400s.